After the very succesful litter Stella had last year from Bayos Dei Silvanbull, the choice for this year's stud was not hard. Bayos produced in his litter with Stella, many of the characteristics that he inherited from his grandfather. Ettore is that grandfather fom Bayos. 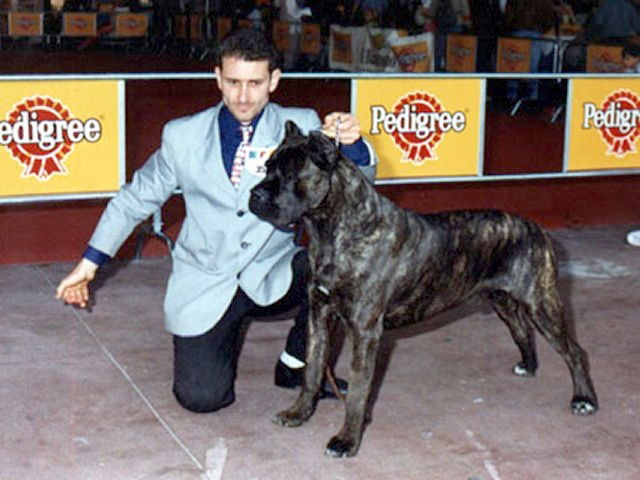 The combination in bloodlines has proven to produce spectaculair quality Cane Corsos, in health, temperament and looks.